Pour Favor Collaborates With Women In Central America;The Region On Our Continent With The Highest Rates Of Illiteracy And Poverty. Still, We Find A Lot Of Women Who Regardless Of Their Dire Situation, They Find A Creative Way To Make By Hand A Product With Limited Resources. Pour Favor Lends A Hand To Empower Those Women, Invest In Their Ideas, Provide Them With The Support They Need. We Call These Women #Guerreras Translation-> #Fighter(S) As They Overcome Adversity Daily, Yet They Fiercely Pull Thru To Provide For Their Families. This Is Why We Commonly Use The Hashtag #Fashionxfighters. Want To Know More About Our Mission? Follow Our Story On Our Blog! Sandra lives in Guatemala near Chichicastenango. She was our first collaborator. Her business has grown since working together and now she can now employ members of her family to her own business. This fall Sandra (pictured on the left) will also be getting married and hopes to form a family. This is the type of products that Carolina makes in El Salvador. Carolina lives in La Palma, Chalatenango, El Salvador. she has a group of young mothers and others helping make the handcarved products they delicately make. Elvira and her mother Celestina live in Panajachel, Guatemala and are seamtress and now business owners. At first they were a little Hesitant and felt that we were offering to much technology for their simple life with no cell phone or internet need. However, they have not discovered the endless connectivity possibilities. 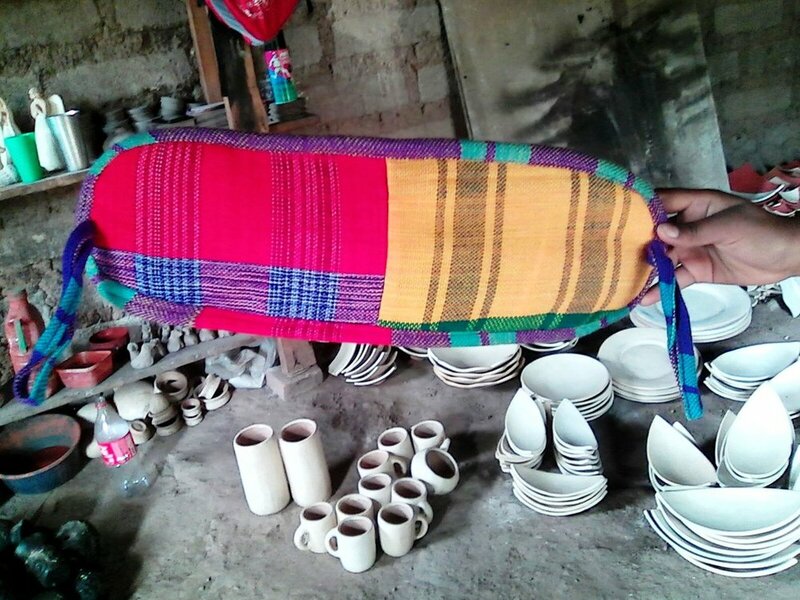 They make most of our clothing with "tolos Santos" textiles. Odilia is a seamstress who makes our newly Designed loofahs. Her town Grows mainly this organic matter and she uses that resource to take advantage of her towns own materials. She collaborates with Teresa (story below) to make the loofahs. Teresa lives in an extremely remote area of Honduras. She is part of a surviving indian tribe called the Lenca's.They make a handwoven textile. This textile is used to make the loofahs with(made by Odilia). While it may very difficult to Communicate with Teresa; we know we are helping her and hope that by helping her she can then employ many more poor Indigenous people in her town. Fabiola and her husband Rolando are a great team that like to work with leather. They live in Panajachel, Guatemala and have one Daughter, Abigail. They would like their Daughter to attend a bilingual school so she can learn english. Our Victoria is a great shoemaker and collaborator. 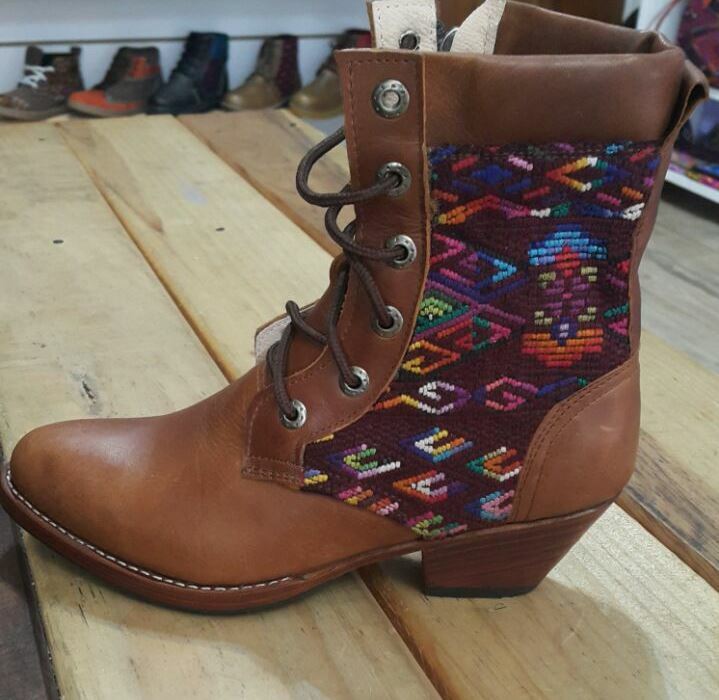 Most of the styles are handmade with huipil and leather.